He is the continuator of a family family of four generations devoted to the cultivation of music and technique, which began his great-grandfather Joan Bta. Blancafort founded the “Victòria” pianola roll factory in La Garriga, continued with his grandfather, the composer Manuel Blancafort and later with his father, the maestro orguener Gabriel Blancafort. 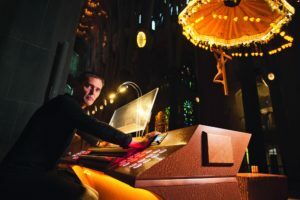 Albert Blancafort is godson of the organist Montserrat Torrent, the director of the choir, Albert Blancafort, and Paris, and his second baptismal name is Gregori due to the close relationship with Father Gregori Estrada OSB. Albert Blancafort was trained as a member of the family business since 1982 and completed his training at the Rieger in Austria (1984) and Orgelbau Rohlf in Germany (1986). After a long period of learning of the various specialties of the job of organbuilding, he accessed the ownership of the workshop in 1998, creating the company Blancafort, Orgueners de Montserrat and focusing on the construction of large instruments such as the organ of the Alfredo Kraus Auditorium in Las Palmas de Gran Canaria (1999), the Cathedral of Alcalá de Henares (2001), La Selva del Camp (2003), Cathedral of Castellón de la Plana (2007), the avant-garde organ of the Auditorium of Tenerife (2005), renowned organs such as the Basilica of Montserrat (2010), the Sagrada Família (2010) and the Palau Güell (2011), as well as other works, several restorations and reconstructions. They are instruments built through the application of the latest advances in the technique, processes and materials of the latest generation in search of instruments of our time, which open new paths to the organists in their art of interpretation of the organic repertoire, in the Improvisation and the creation of contemporary music. 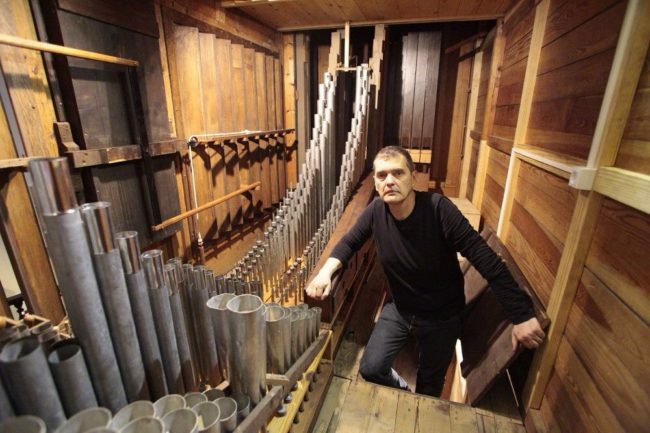 He collaborated for more than ten years with the Fraunhofer Institut für Bauphysik of the University of Stuttgart (Germany) in successive European research projects on the acoustics of the organ and acoustic tubes of the venues applied to the organ. Albert Blancafort is a founding member of the ACO Asociación Catalana de l’Orgue, member of the ISO, has participated in the organization of several organizational events at an international level and is the author of various articles and conferences with the common denominator of research and the Latest advances in the technique in organbuilding.